The Kellogg Community College women’s volleyball team is on a five-game winning streak after an undefeated weekend at the Raider Challenge invitational in Grand Rapids. Not only did the Bruins win all their matches this weekend, but they won them all in three straight sets. See scores from each match below. On Saturday, Sept. 29, the Bruins took set one 25-16, set two 25-20 and set three 25-19 over Alpena Community College. Also on Saturday, Sept. 29, the Bruins took set one 25-11, set two 25-7 and set three 25-15 over Schoolcraft Community College. 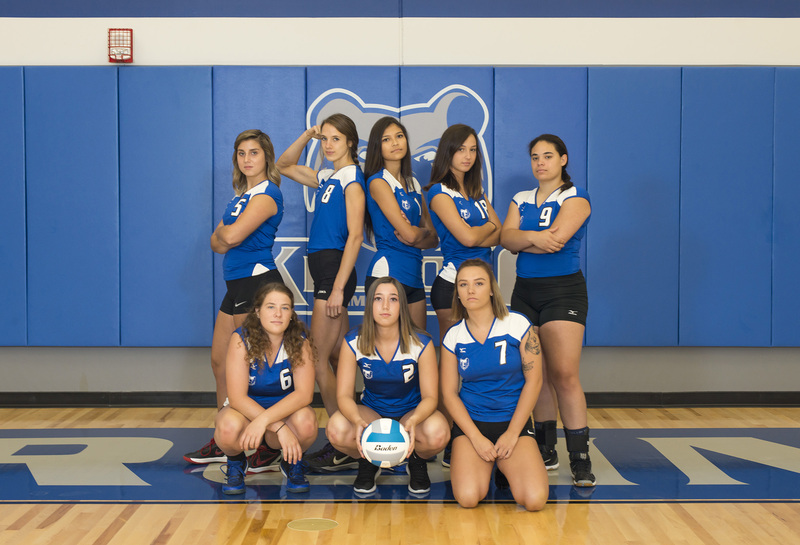 On Sunday, Sept. 30, the Bruins took set one 25-12, set two 25-22 and set three 25-17 over Henry Ford Community College. Also on Sunday, Sept. 30, the Bruins took set one 25-17, set two 25-15 and set three 25-22 over Maccomb Community College. Click here for full results from the 2018 Raider Challenge. The recent wins bring the Bruins’ overall record for the season so far to 5-12; the team’s conference record is 1-8. The team plays next at 6:30 p.m. tonight, Tuesday, Oct. 2, at home against conference opponent Jackson College in the Miller Physical Education Building. All home matches at KCC are free to attend.